We’re extremely proud to announce that our cannabis (3:1 THC and CBD) infused suckers and lozenges products will be available on medical dispensary shelves in Puerto Rico starting this week! This April, Colorado Governor Jared Polis signed a bill that will allow patients on the autism spectrum to receive medical cannabis licenses – lawmakers are also making a path for cannabis delivery for medical patients. 3 Major movements in cannabis and hemp made headlines at the end of this March including: cannabis banking in West Virginia, failure to legalize it in New Jersey, and CVS pharmacy selling CBD products. Smoking medical marijuana is now legal in Florida. Gov. Ron DeSantis (R) signed a bill on Monday lifting a ban enacted in 2017 on smokable cannabis products. After a year of negotiations, New Jersey could legalize recreational marijuana by the end of this month. While cannabis may the same across the country, not all legal states regulate it the same way. Regulations are leaving states like Michigan, Illinois and California struggling to keep supply up with demand. Denver’s social cannabis consumption pilot program was set to expire in 2020, but Denver City Council voted 10-1 to remove the sunset date, making the program permanent. In small towns like Smith Falls, Ontario, and Trinidad, Durango and Cortez in Colorado, cannabis is bringing new opportunities and revenue to places in need of hope. 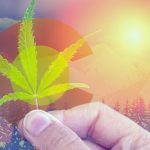 It’s hard to believe the year is going by so fast – it’s February already and these 4 big news items are already making waves in the cannabis community! Autism could soon be added to the list of qualifying medical conditions eligible to be treated with medical marijuana in Colorado. Mountain High Suckers is extremely proud to announce that we have joined the latest group of cannabis based businesses to be A+ accredited by the Better Business Bureau through their new cannabis accreditation program! There’s a new session of the Colorado General Assembly, and that means a slew of new bills about how cannabis revenue in the state is spent. Check out our list of how your cannabis tax dollars could be used for good in the year ahead! Another year, more legal cannabis! 2018 saw a ton of changes in the cannabis industry and support for legalization is at an all-time high. Check out our 2018 Year End Recap for this year’s highlights. California’s recreational marijuana industry has finally settled on new regulations, including new rules for statewide delivery, packaging/exit bags, and testing requirements. MJBizCon in Las Vegas had its biggest year yet, with a record-breaking 27,000 people attending the annual conference aimed at marijuana professionals and investors. If California-based MedMen Enterprises is granted a trademark for the word “cannabis” other cannabis firms wouldn’t be able to use it on t-shirts or other clothing without infringing. Cannabis at the Ballot Box: Which States Will Legalize? Its Official: On October 17, Canada will become the second country in the world to legalize recreational cannabis making it legal for adults 18 years-and-older to purchase, possess, and grow cannabis! Elections are only a few weeks away in the U.S., and a handful of states will be voting on whether to legalize medical or recreational marijuana. In such a contentious political environment, it’s a relief that there’s one thing that brings people together in America: cannabis! This week, the Veterans Medical Marijuana Safe Harbor Act would give VA physicians the ability to legally recommend medical cannabis, plus it requires the VA to conduct additional studies and help veterans’ access to cannabis across states with the aim at reducing opioid abuse. Americans are in desperate need of an alternative to opioids, and new UCLA research could help legitimize cannabis as a viable pain-relief solution. New data released by the Nevada Department of Taxation show that the state made just over a half-billion dollars in its first year of adult-use cannabis sales! Will North Dakota Legalize Marijuana Without Limits on Growth or Possession? The United Kingdom has softened its stance on medical marijuana, and by this autumn, cannabis-derived medication will be available by prescription. The surprise announcement by the Home Secretary, Sajid Javid, comes after two severely epileptic children were denied cannabis oil to treat their seizures. Come join us for our Josh Blue’s Dream OFFICIAL LAUNCH PARTY celebrating our work together. We’ll have LIVE MUSIC, SNACKS and DRINKS! Friday, July 6th at 9:30pm @Comedy Works South. 21+ free admission – no tickets or RSVP required! Canada legalized recreational marijuana on Tuesday, becoming the second country in the world to end cannabis prohibition. The Cannabis Act legalizes marijuana possession, home growing, and adult-use sales. The United Kingdom bans cannabis while being the world’s largest exporter. However, cannabis production in the UK is almost entirely geared towards pharmaceuticals…. Pennsylvania Governor Tom Wolf announced Monday that eight universities in the state have been licensed to begin studying cannabis for medical purposes! The first FDA-approved study on the effects of cannabis in treating veterans’ PTSD is nearly complete, and we could be one step closer to federally legalizing cannabis as a treatment! Millennials: The Generation That Ends Cannabis Prohibition? If there’s one thing we can definitely thank millennials for: its their love of cannabis – and if this like-minded generation has anything to say about it, the days of marijuana prohibition are numbered! A proposal to use sales tax proceeds from rec. marijuana sales in Colorado could help bolster funds used for affordable housing in the city! The celebration of cannabis culture in the Mile High City has grown from one annual rally to a week chock full of 4/20 events. Check out this listing of some of the events we’re digging! Athletes are helping normalize cannabis use and want a legal marijuana alternative to opioids and painkillers, and anti-inflammatories for pain relief. Colorado Sells an Amazing $1.5 Billion in Cannabis! Legal marijuana sales in Colorado last year broke yet another revenue record in 2017, when the state sold $1.51 billion worth of cannabis! Weed Delivery May Come to Colorado as Early as Sept.
Do Cannabis Dispensaries Increase the Value of Your Home? Is Cannabis the Answer to America’s Opioid Crisis? The problem of where to consume cannabis in Colorado has been an issue since recreational marijuana use was approved by voters in 2012. Now, five years later, the city of Denver is ready to become the first in the nation to launch a program allowing businesses to set up social marijuana consumption areas. Come See Josh Blue and Mountain High Suckers at Colorado Harvest Co.
Come see Josh Blue and Mountain High Suckers Wednesday June 30th from 4pm to 7pm at Colorado Harvest Co. on Broadway! Come visit Mountain High Suckers and Comedian Josh Blue this Wednesday June 7th from 3pm to 6pm at GroundSwell Cannabis Boutique in Denver! The Alaska Marijuana Control Board to revive a proposal that would allow cannabis consumption at licensed pot shops. Voters approved recreational marijuana 2015 but the debate over social use in licensed shops continues…. Will Jeff Sessions Crack Down on Legal Marijuana? 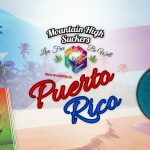 Mountain High Suckers Sweet Pieces Cannabis Edibles On Sale Now! Copyright © 2019 Mountain High Suckers. All rights reserved. Hello, this site content is for users age 21 and older.